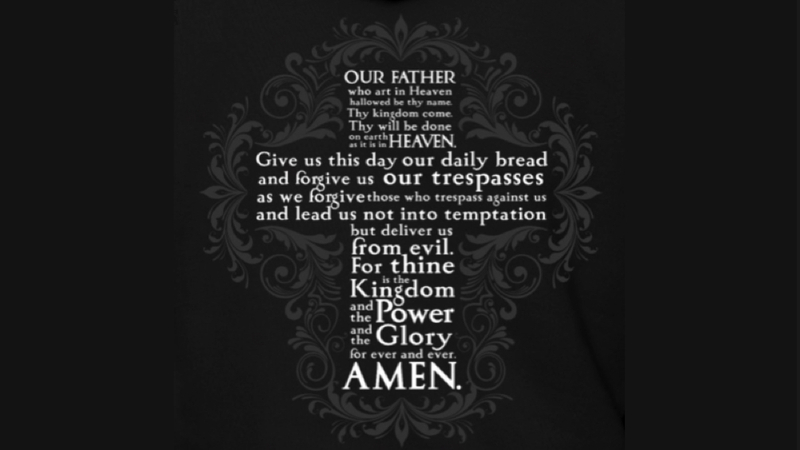 Matthew 6:9-13 English Standard Version (ESV) 9 Pray then like this: “Our Father in heaven, hallowed be your name. [a] 10 Your kingdom come, your will be done,[b] on earth as it is in heaven. 11 Give us this day our daily bread,[c] 12 and forgive us our debts, as we also have forgiven our debtors. 13 And lead us not into temptation, but deliver us from evil. [d] Footnotes: Matthew 6:9 Or Let your name be kept holy, or Let your name be treated with reverence Matthew 6:10 Or Let your kingdom come, let your will be done Matthew 6:11 Or our bread for tomorrow Matthew 6:13 Or the evil one; some manuscripts add For yours is the kingdom and the power and the glory, forever. Amen English Standard Version (ESV) The Holy Bible, English Standard Version. ESV® Text Edition: 2016. Copyright © 2001 by Crossway Bibles, a publishing ministry of Good News Publishers.